wild earth action team | Dallas ZooHoo! Conservation and Community Engagement Intern, Kelly A. Catter guest blogs on ZooHoo! A volunteer with our Wild Earth Action Team clears large debris from the beachside in South Padre Island, Texas. Our Wild Earth Action Team recently traveled down to South Padre Island with 50 volunteers, interns and staff from the Dallas Zoo and Children’s Aquarium at Fair Park to remove litter pollution from beaches and dunes in an effort to restore sea turtle nesting habitats. Plastic and other litter pollution pose a serious threat to the vulnerable sea turtle population. In just three hours, our team was able to remove 2,238 pounds of litter pollution. It felt great to actually take action and make a difference for wildlife! The team then explored the Gladys Porter Zoo in Brownsville and enjoyed eco-tours of Laguna Madre and Sea Turtle, Inc.’s new center, where we met the people responsible for monitoring and protecting sea turtle nests and rehabilitating injured sea turtles. Unfortunately, we did not see a hatchling release – 108 babies hatched at 2:30 am, too early to view – but we did get to observe a night nest check and saw the baby turtles working their way up to the surface through the sand! We also learned about ways we can help sea turtles in our everyday lives. By reducing plastic use whenever and wherever we can, we’re preventing it from entering our waterways and ending up in the ocean. Even simple things like using reusable grocery bags and straws, recycling and picking up litter rather than walking passed it go a long way to keep wildlife safe. This conservation trip was a huge success, and we all had a wonderful time doing our part to save sea turtles. Want to get involved? We challenge everyone to pitch in to save sea turtles by pledging to pick up just 10 pieces of litter pollution every Tuesday. Imagine the impact it would make towards creating a better world for animals all the way to the sea. Click here to find more information about the North Texas TenOnTues pledge initiative and make your pledge today. It takes just one year for trash from DFW to make it into the Gulf of Mexico through storm drains, hurting South Texas’s marine life and other species. Dallas Zoo’s Wild Earth Action Team (WEAT) is on a Texas-proud mission to restore critical habitat for animals across the state. 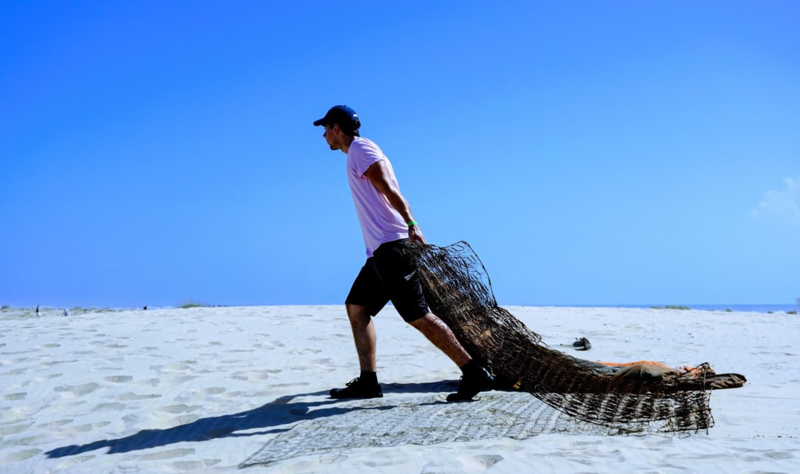 The team put in sweat equity and removed 2,750 pounds of litter pollution from the beaches and dunes. They also participated in a sunrise release of 26 Kemp’s ridley sea turtle hatchlings – the ocean’s most endangered species of turtle. “Every wildlife habitat restored and every species saved from extinction begins with us. It’s a great feeling to know we have members, guests and volunteers right beside us working to create a better world for animals,” said Ben Jones, dean of the Dallas Zoo’s Wild Earth Academy and co-leader of the trip. When the team wasn’t squealing over baby sea turtles or picking up litter, they spent time at Sea Turtle, Inc., helping spruce up the non-profit’s building. Dallas Zoo staff also proudly presented a check to Sea Turtle Inc. to help the conservationists continue their work to save the Kemp’s ridley sea turtle. Take action at home to protect marine life by reducing your plastic consumption with reusable straws, water bottles and canvas bags; choose to eat sustainably harvested seafood; and help keep litter pollution out of Texas waterways. The Wild Earth Action Team birding in Blucher Park. The Dallas Zoo works with partners around the world to save wildlife and protect wild spaces, but a major effort recently happened closer to home with some important Texas neighbors. 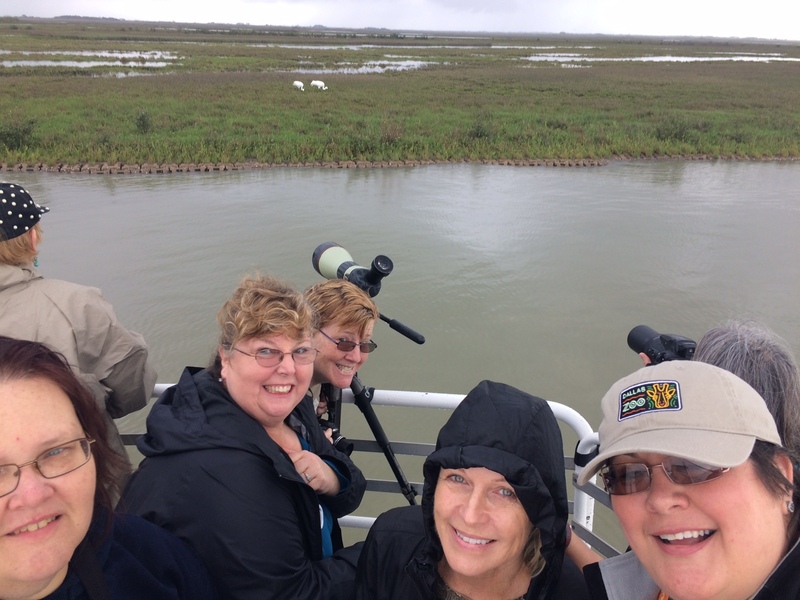 The team observes the endangered whooping crane in the Aransas National Wildlife Refuge. 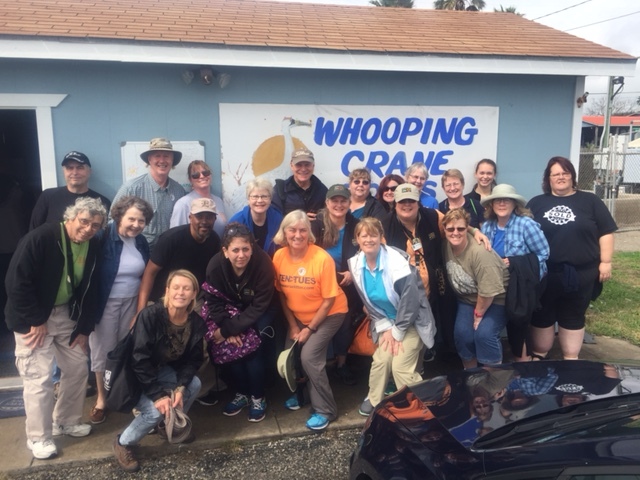 The zoo’s Wild Earth Action Team trekked south to Corpus Christi to restore coastal habitats in support of whooping crane conservation. The whooping crane is the tallest bird in North America and migrates each year from central Canada to the Texas coast for the winter. The Dallas Zoo group dug in and got their hands dirty during a clean-up to help wildlife and their vital ecosystems. 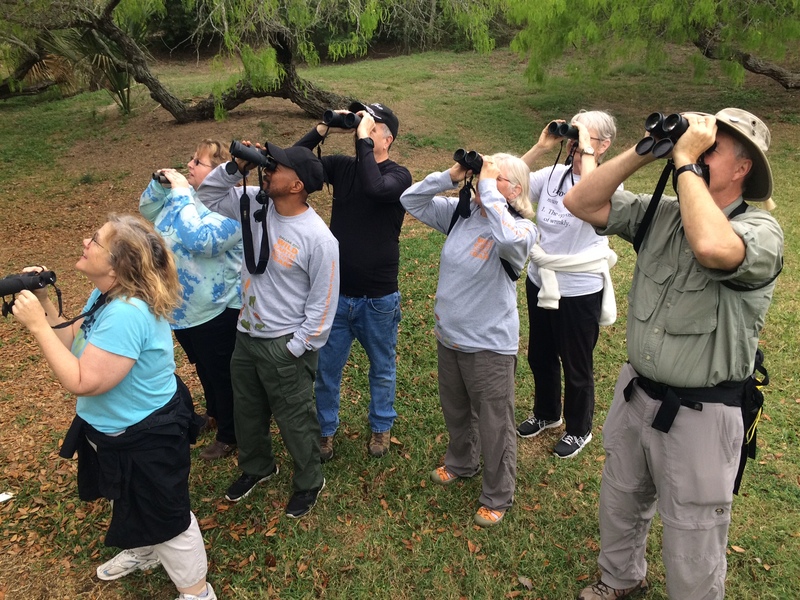 The Wild Earth Action Team also took a four-hour adventure through the Aransas National Wildlife Refuge, exploring the whooping crane’s winter grounds and observing 14 of these elegant birds. They even witnessed a rare moment when a whooping crane pair caught a snake and fed it to their young. Removing litter from Corpus Christi’s North Beach. The entire experience was incredible for the team since this species once was so close to the brink of extinction. 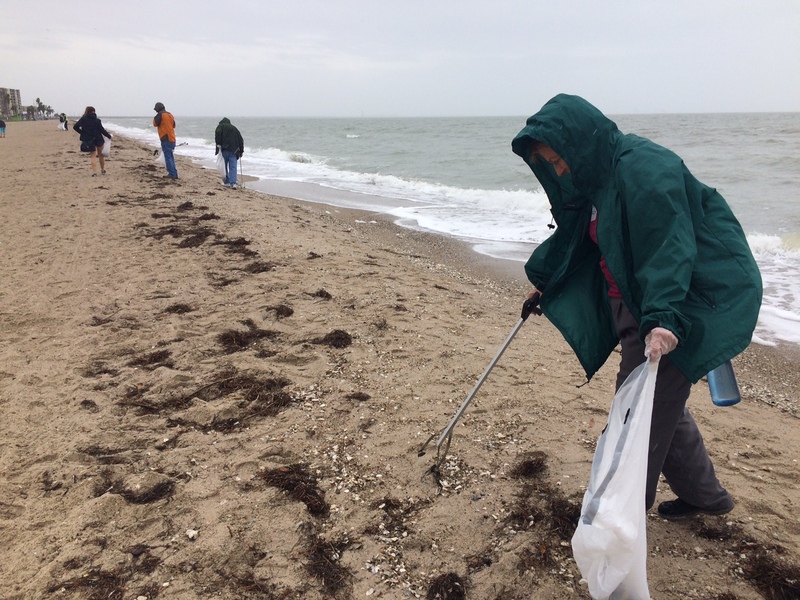 Our team of 23 volunteers and staff removed nearly 200 pounds of micro-litter along North Beach, including roughly 1,000 cigarette butts. Litter removal plays a key role in improving water quality and restoring coastal wetlands where many of the whooping crane’s food sources reside. By the mid-1940s, only 15 whooping cranes existed in the wild. While still categorized as an endangered species, roughly 600 birds exist today due to the continued advocacy of conservation heroes across the United States. “It made me feel overwhelmed with inspiration and gratitude for the conservation champions who went before us and stood up to save these cranes – all the work, the study, the policy advocacy, the habitat restoration and protection, the propagation and reintroduction by zoos and other conservation organizations – everything it takes to save animals from extinction,” said Ben Jones, dean of the Dallas Zoo’s Wild Earth Academy and trip co-leader. 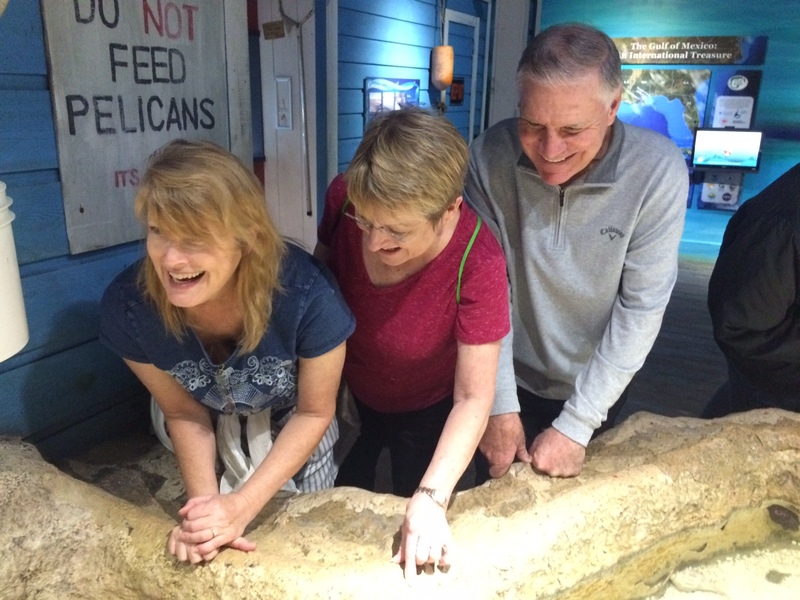 Volunteers Elizabeth Clay and Paul and Becca Dyer enjoy a visit to the Texas State Aquarium. The weekend was filled with engaging learning opportunities as well. Alex Gilly, a bird keeper at the zoo, provided a fantastic presentation on the world’s 15 crane species as well as our role in crane conservation. The team was given a behind-the-scenes look at the Texas State Aquarium rehabilitation facilities, where they met an array of aquatic life and learned their unique stories. Dr. Liz Smith, the International Crane Foundation’s whooping crane biologist and Texas program director, even spoke to the group, providing an update on whooping crane preservation and efforts to combat the effects of climate change on coastal wetlands. All and all, the weekend stands as a whooping success for our Wild Earth Action Team as they extended the Zoo’s vision of creating a better world for animals. Still, it’s important to remember that conservation is a joint endeavor that requires dedication to produce results. It all starts with taking actions, no matter how small, and making sustainable changes. The Wild Earth Action Team gathers for a group shot. 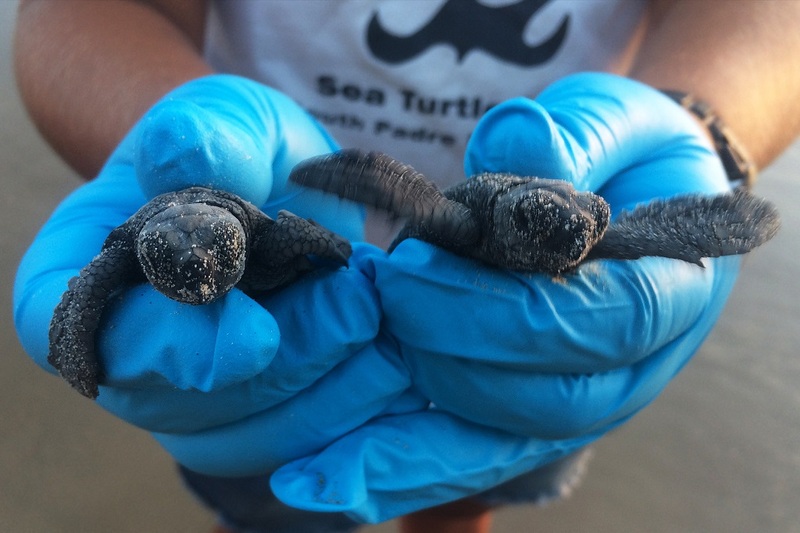 Stay tuned for more information about our next Wild Earth Action Team expedition when we travel to South Padre Island June 23–25 and work on Saving Sea Turtles. Sun, sand, sea … and trash, and baby sea turtles, and a firsthand view of how to make a difference. A team of 50 Dallas Zoo staff, volunteers, members and community supporters traveled to South Padre Island recently – not for vacation, but for conservation. 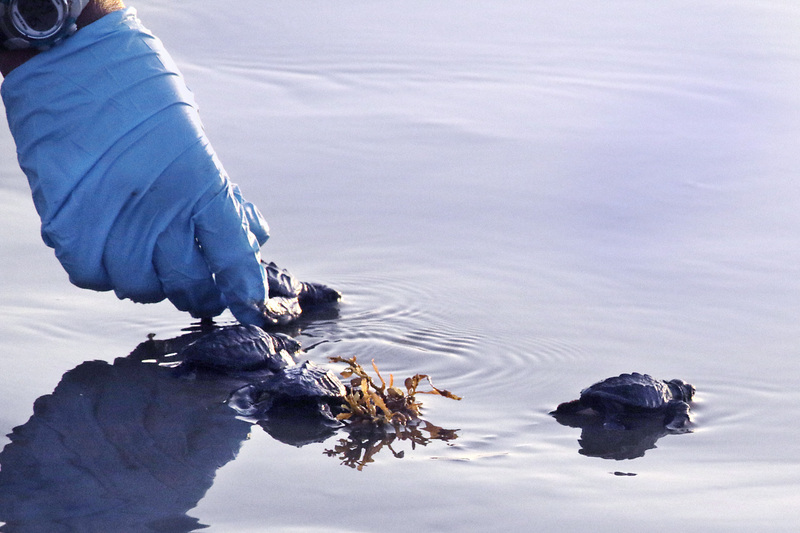 The mission: Kemp’s ridley sea turtle habitat restoration. Sea turtle conservation is close to the Dallas Zoo’s heart. Our affiliated Children’s Aquarium has a famous blue-eyed sea turtle named MJ that was rescued by Sea Turtle Inc. The trip was part of the Dallas Zoo’s Wild Earth Action Team. Typically, the Zoo is called upon to support conservation organizations through funding or donations, but the Wild Earth Action Team takes it a step further with sweat equity. “Action seems to be the most direct and powerful way to reinforce conservation identity,” said Ben Jones, dean of the Zoo’s Wild Earth Academy and organizer of the Wild Earth Action Team. Everything comes back to habitat restoration, and that’s the bulk of the Wild Earth Action Team’s work. Locally they’ve cleaned rivers, planted trees and more. In August, the team will create a monarch butterfly habitat at the Dallas Zoo. “The Zoo wants to activate our network to help animals, to change the world for wildlife, and this is a way to do it,” Jones said. Click here to register for the next Wild Earth Action Team project and visit seaturtleinc.org to learn more about sea turtle rehabilitation and release.